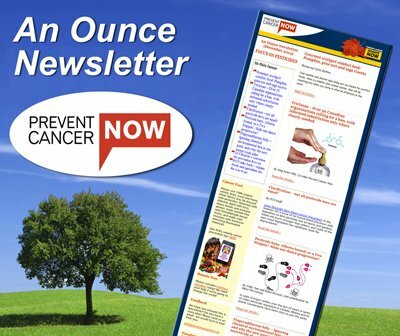 Prevent Cancer Now » What’s New? There were a number of other interesting and informative items that caught our eye this week, including the Canadian Premiere of Living Downstream, momentum in the move to ban Triclosan, and Disconnect – a new book from Devra Lee Davis. Tuesday, May 18th was an exciting night for cancer prevention activists in this country when close to 700 people flocked to the Bloor Cinema in Toronto for the Canadian premiere of the new film Living Downstream. Eighty-four minutes later, they were all on their feet offering a standing ovation. Without a doubt, it was a proud moment for Chanda Chevannes, the young Toronto-based director-producer who read the book Living Downstream in high school 13 years ago, and knew even then it would make a visually powerful and meaningful documentary. Her high school vision is now reality. It was also a proud moment for Sandra Steingraber, author of that acclaimed 1997 book, whose passion as a writer and cancer survivor helps make the case that clean air, pure water and healthy food should be a basic human right for everyone. This film will help carry the message far and wide. (By the way, if you want to experience first-hand why Dr. Steingraber is such an celebrated environmental-health writer, check out her series of weekly essays at this link. The second edition of Living Downstream, the book, released in March to coincide with the film’s debut, goes a big step beyond the original by making connections between the thousands of fossil fuel-based chemicals, climate change and cancer. Timely and terrific. TRICLOSAN: CAN WAL-MART HELP BANISH IT? It is literally in almost every type of product – in most soaps, toothpastes, hand sanitizers, cosmetics, clothes and toys. It’s triclosan, and finally, after many years of standing back, the US Food and Drug Administration acknowledged in early April that recent scientific studies raise questions about whether triclosan disrupts the body’s endocrine system and whether it helps create bacteria resistant to antibiotics. While North American government agencies hesitate, The Campaign for Safe Cosmetics in the US has another idea – appeal directly to the mammoth retail giant Wal-Mart to get triclosan out of products it sells. If you saw the film documentary, Food Inc., you’ll know that consumer demand triggered Wal-Mart to stock organic,foods and milk products free of the hormone rBST, which in turn, influenced many other retailers to follow suit. To help move Wal-Mart to get the triclosan out, send your message from website and printed newsletter, The Ribbon. Thankfully, as Dr. Suzanne Snedeker, head of this excellent program notes, information from the site will be archived at BCERF’s present site. As its days may be numbered, pay heed to Dr. Snedeker’s good advice, and download the documents you are most interested in and store them on your own computer in a format you can access yourself. To understand what a wonderful resource BCERF has been, we suggest you follow the link to just one example of clear, relevant information so typical to the site: Bisphenol A: Researchers Question Sources of Exposure. So very sorry to see you go, BCERF, and thank you for many years of excellence. Watch for more about cell phones in Disconnect, Devra Lee Davis’s new book expected in the fall. Devra Lee Davis has a longstanding relationship with PCN. She is a leading epidemiologist and researcher on the environmental causes of breast cancer and chronic disease, and she was a lead speaker at our (date) conference. We’re sure you remember her earlier books, When Smoke Ran Like Water (2002) and The Secret History of the War on Cancer (2007).